Get a jump start on preserving your memories with Story Starter — a fun 4″ × 4″ workshop kit that walks you through the steps of uncovering meaningful memories related to the people, places, and things you love! Individual workshop kits and stamp sets are available at 20% off; buy the workshop kits and stamps bundled together to save 30%! You can also receive your choice of one of the featured stamp sets FREE when you sign up as a Consultant or host a qualifying party! Capture memories for every day of this magical season with the Days of December workshop bundle. This memory keeping project will provide you with a place for daily photos and storytelling for the month of December. Get a jump start on this busy time of year by completing your album ahead of time! I got my album cut and I need to put it together. We are doing 31 days of Jingles, our elf! When you purchase Candy Cane Alphabet for $5.00 with a qualifying purchase of $50.00, you’ll get this Kit of the Month free! It comes cut and ready for you to stamp and assemble. I have several workshop guides available to help you get your crafting done. You can check them out in more detail in my Special Peeps FB Group. When you purchase $25.00 of supplies from my website, you get to pick a workshop of your choice and I’ll send it to you electronically. Thanks for stopping by to check out the December specials. Tell your story now through the Story by Stacy collection with Story Starter! 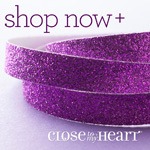 While October brings a slow down for specials with CTMH, it bring an wonderful bit of sparkle to our lives. The special is Holiday Sparkle and you can ready more about how to get these great shaker cards in your hands. It’s truly a fun kit in time to help you get ready for the Holidays. The Holiday Expressions brings us Grateful Hearts and Hello Pumpkin Collections! It’s free for everyone who places any order of any amount! Wahoo!!! They have reduced the cost to $3.00/Idea Book. New Cricut collection, new stamps, 5 paper collections, and more. I’ve look through it several times and have the longest dream list. Check out our last special – “The Important Things”. It’s an exercise to get us to slow down. To take time to focus on the important things in our life. Last but not least, I want to thank all of YOU – my amazing customers and friends – who support me. I crossed the finish line to the cruise last week and it became official last month. From the bottom of my heart, I thank you all. Shake things up this holiday season with the Holiday Sparkle Cut Above® card kit! This kit contains materials for creating 12 festive shaker cards, including printed card bases, die-cut pieces, stickers, sparkly sequins, and simple assembly instructions. Get a 20% discount when you get the Holiday Sparkle Bundle, which pairs the card kit with the My Acrylix® Love with All the Trimmings stamp set, specially designed to further customize the insides of your cards. Hostess Bonus: Hostess Bonus: When an October party order total reaches at least the third level of Hostess Rewards, the hostess of that party qualifies for a FREE Holiday Sparkle Cut Above® Card Kit! The party must have an October Gathering date and be submitted no later than November 5, 2018. New Consultants: Anyone who signs up as a new Consultant in October will receive a Holiday Sparkle Cut Above® Card Kit in their New Consultant Kit FREE! Join The Family and The Fun! For New Consultants: Anyone who signs up as a new Consultant in October will receive a Holiday Sparkle Cut Above® Card Kit in their New Consultant Kit FREE! A new program has launched October 1 – Preferred Customer. You can sign up with CTMH as a consultant. Should you not be able to make the quarterly minimums, you drop down to Preferred Customer. The quarterly minimums are $100 and you receive 10% off! =) Super exciting, right? You can attend events, enjoy the fun, and family that CTMH has to offer. I’ll be hosting a Seasonal Launch on December 1, 2018. Consultants and Preferred Customers can attend!! I’ve opened up to any Consultant or Preferred Customer who wants to come and travel over to Bowie, MD. You can register for the Seasonal Launch in the Online Office under Events. Look for Seasonal Launch. I’m the 4th option in Bowie, MD. Highlight the unique things that are important to you with The Important Things Everyday Life™ workshop. This workshop shows you how to create eight 6″ × 8″ layouts plus a title page and a closing page for an Everyday Life™ album. The generic theme of this album featuring the bright colors and patterns in the Perfectly Imperfect Picture My Life™ cards make this a versatile workshop you can offer for customers to create for themselves, give as a gift, or even do both! Check the FB groupout for the reference materials and directions! Both of these collections wrap Fall up in a bow! Family pictures taken recently that need to be scrapbooked. Pumpkin Patch, corn maze, apple picking, Halloween, family reunion, school pictures, and the list goes on for this time of year. Make some home decor or cards, the matching stamp sets along with the Cricut collections, you can do amazing things. Check out my FB group, last album for all the choices. If you have older paper, you might be surprised what I have to help you create! I have some posted up on a website page. Look at these sayings! Whenever we are focused on who or what we have and being grateful for it, the world looks a whole lot better. With the house, heart, flowers, and leaves, you can create a lot of different cards and pages. Thank you so much for helping me earn the cruise!